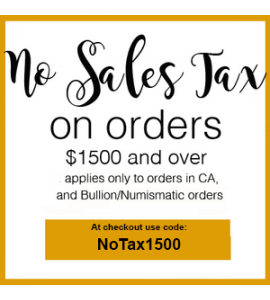 "It's a state law requirement regarding spending $1500 in the state of CA on bullion investment." Precious metals in bulk form are known as Bullion and are traded on the commodity markets. Bullion metals may be cast into ingots or minted into coins. The defining attribute of bullion is that it is valued by its mass and purity rather by its face value as money. Precious metals are measured by troy weight in grams or ounces. The purity or “fineness” is measured in parts per thousand. Note that 100% pure bullion is not possible.